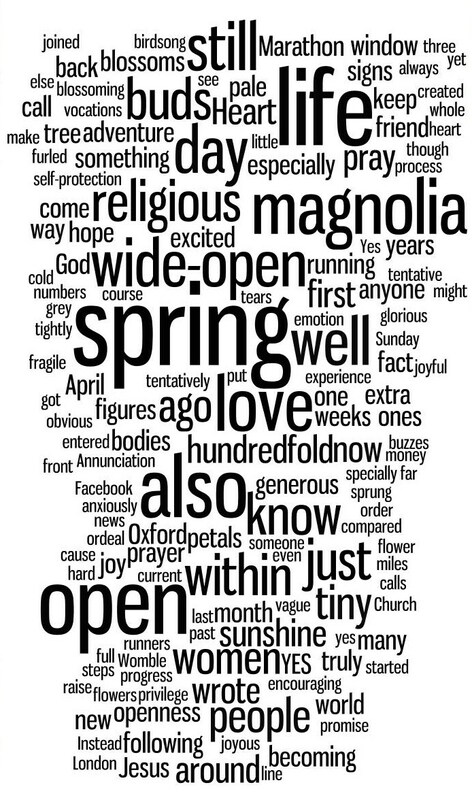 Judging by this very full Wordle, April was quite a full month! Spring, new life and our magnificent magnolia certainly dominated, interspersed with wombles in the London Marathon, a delayed Annunciation and Vocations Sunday. All that - and all these words - in only five posts! "following Jesus around becoming joyous"
"religious magnolia excited wide-open spring"
and, tucked away in a corner - "blossoming vocations" - which I certainly hope will be the case! And what will the merry month of May bring..? 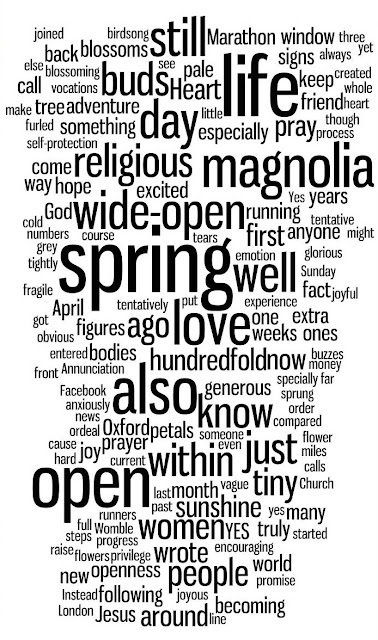 This is a beautiful Wordle - a joy to read! So much there: "pray through process"; "glorious Sunday fact - joyful". There's also "joy current within vague tiny Church" which might need unpacking, but I suspect has a hidden message!